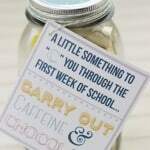 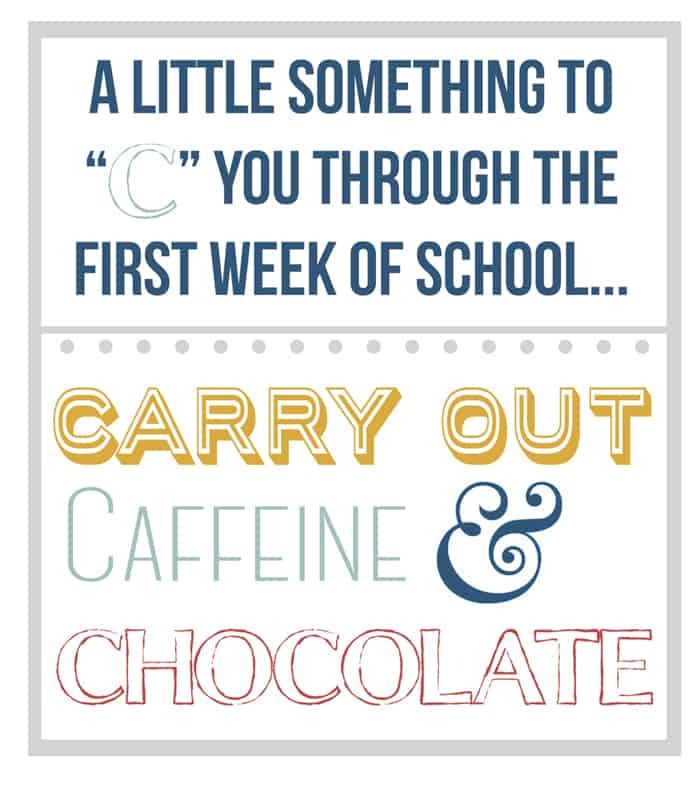 A couple of weeks ago we shared this fun back to school idea on Whipperberry, Its a great way to help “C” your teachers through the first week back to school! 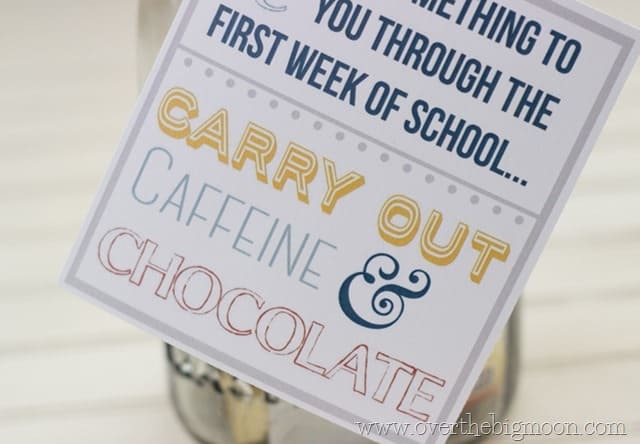 All you need is carry out, caffeine, and chocolate! 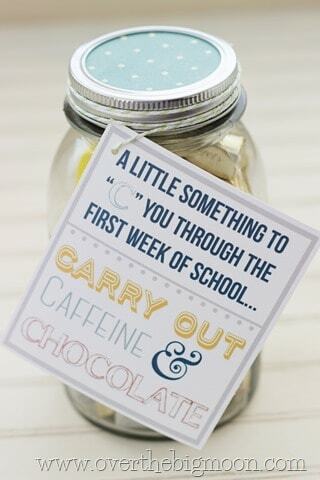 We used a canning jar, some delicious chocolate, a gift card for lunch, and a gift card to a soda shop. 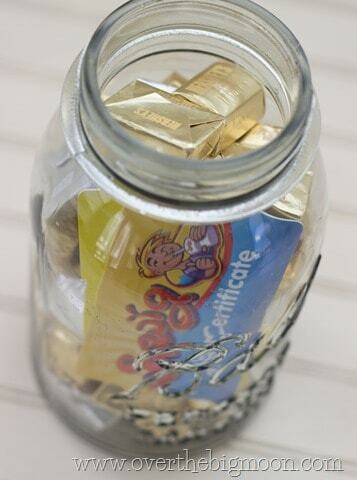 Just fill your canning jar with the chocolate and a couple of gift cards. 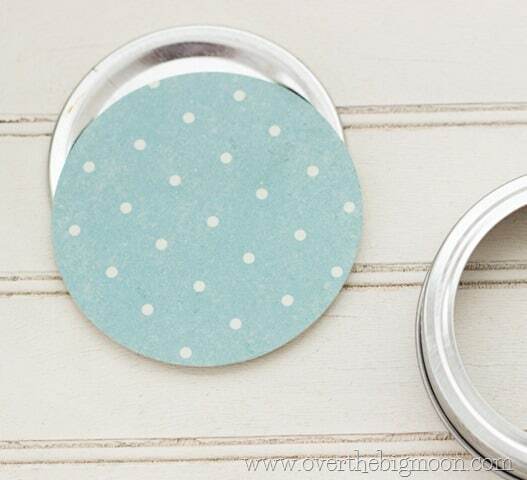 Then we cut a circle of cute paper to put on top of the jar. 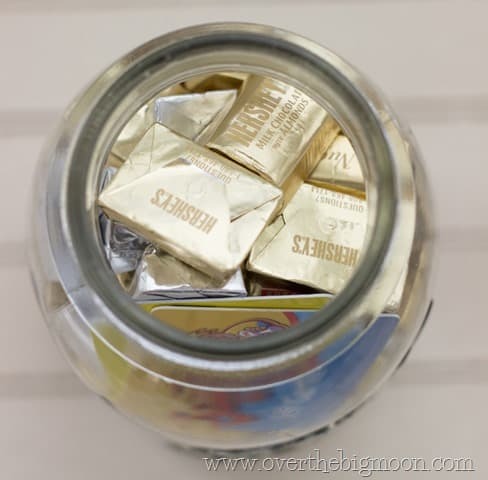 Or you could package it differently and attach the chocolate to a soda bottle with a Subway or Pizza gift card. 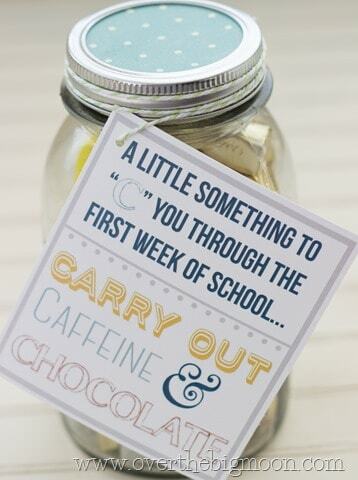 Check out these other ideas for showing your teachers how much you care!